Our ONLY High Hammock villa is the very nicest in the complex! This amazing two bedroom vacation property is an exceptional combination of luxury appointments and value. You cannot get a nicer two bedroom villa near the beach and Club house for the rate! The brand new custom kitchen offers more space and open cabinets along with high quality cook ware and everything you need for a carefree stay. The living area has comfortable stylish furnishings and is appointed with shiplap paneling and high quality wood flooring reminiscent of a rustic, chic beach house. 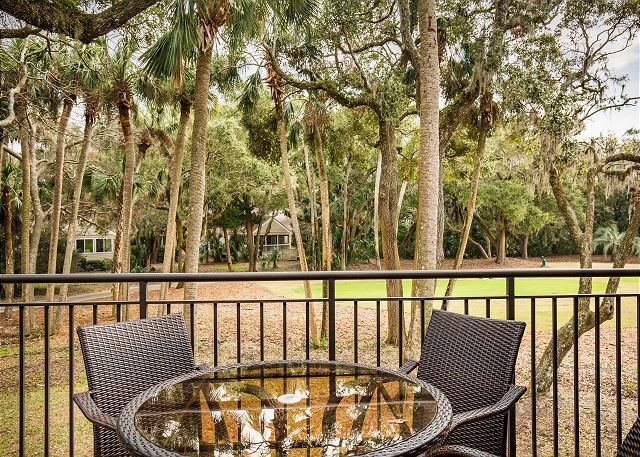 Relax and watch your favorite show on the HDTV or sit on the deck and enjoy lunch while watching the golfers play thru. This adorable town house layout features two bedrooms on the upper level. The master suite with a high quality, comfortable queen bed is bright and colorful with a wall mounted HDTV. The master bath is a unique custom design with double sinks and a large glass shower with custom tile work. The second bedroom offers two new twin beds, a flat screen TV and stylish decor. This loft style bedroom overlooks the living area downstairs but has plantation shutters for privacy. There is a second full bath with shiplap paneling and custom fixtures on the main level. 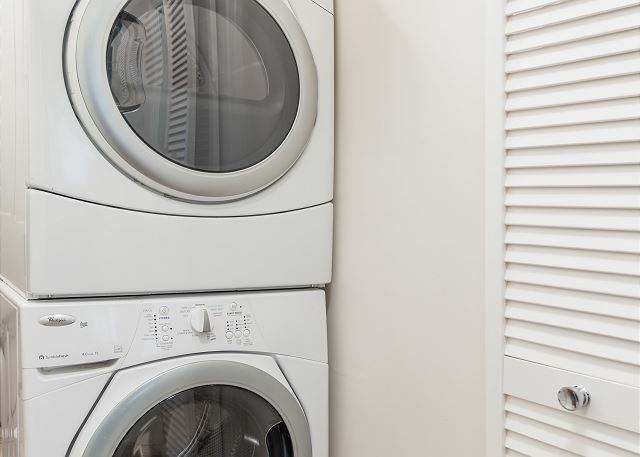 The laundry center with high end front loaders is conveniently located upstairs between the bedrooms. You cannot find a better combination of ambiance, location and value. Bike to the beach in 5 minutes. Club amenity cards included. We will consider one well behaved, non shedding small dog under 25 lbs with prior approval. NEW LISTING BOOK NOW FOR BEST DATES!! WIFI AND AMENITY CARDS INCLUDED. 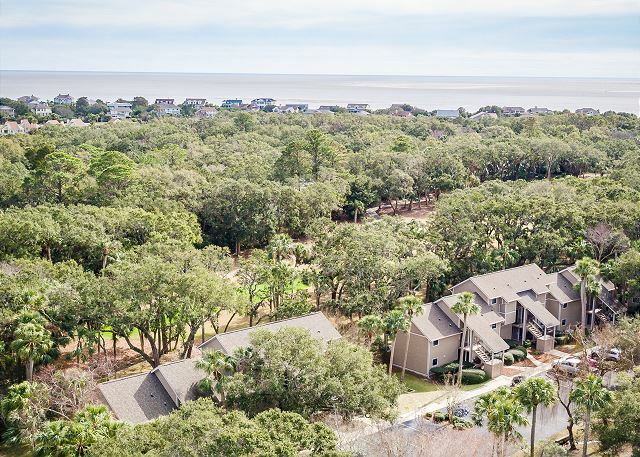 Lovely rental in High Hammock condo’s. Super clean- beautifully decorated- everything you need. Access to a great fitness center ( for a per day fee)., plenty of deer to see every day, very quiet. Villa was as pictured. Completely remodeled, great baths and kitchen, nicely furnished, comfortable, clean, convenient location. Second story unit and villa is on two levels, so a bit of a hassle with luggage. Bedrooms are small and master has no bedside table or shelf for iPad, glasses, etc. Would definitely consider staying there again. Condo was nicely located, quiet and remodeled to perfection. Spotlessly clean, well-appointed & best of all, we could have our little dog with us. Wonderful stay. Only inconvenience was the broken ice maker. We had a wonderful visit for a week. The condo is well lit, and has stylish features. Kitchen is fully equipped and has everything you need. Beds slept comfortably. Lovely condo with updated furnishings. A bit of a hike to the beach so you may want to plan on driving. Not a problem for us. Would rent this place again if we return to Seabrook. Only issue we had was we rented a DVD the night before leaving and there was not a DVD player as advertised. Was not a big deal to us though. This villa was up to date and very nice on the inside. The location was great and very quiet. My grandparents visited Seabrook for the first time this year and stayed with me and my husband. They absolutely loved it and are thinking about coming back on the own. This is the nicest place I have stayed in since I have been visiting Seabrook. Wonderful! 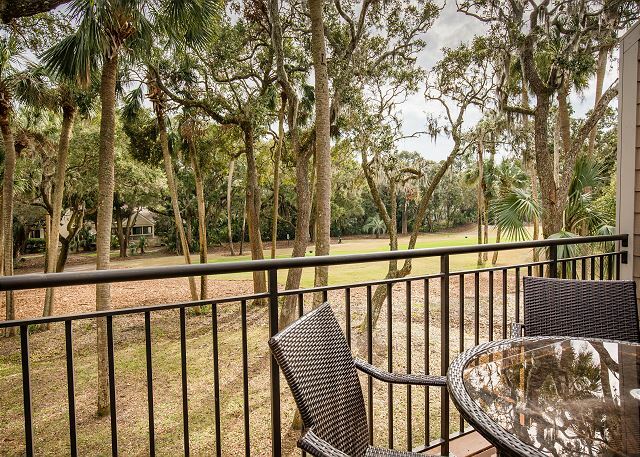 We love Seabrook Island, and this condo is so fresh and bright - it make our stay even better. The condo was decorated beautifully and was impeccably immaculate. I would definitely rent this condo again! 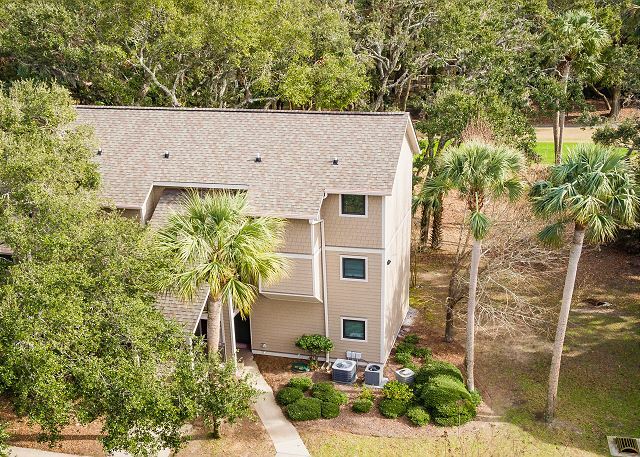 thank you very much for recommending this very clean and pleasantly furnished villa for our recent stay at Seabrook Island. It was absolutely superb. No issues whatsoever! family spent together especially our 4 legged friend, Boogie the Boston Terrier. Thank your so much for your professionalism and yes we would visit again, the wildlife was wonderful to watch. Great condo.... perfect size and location. Well maintained, adequately furnished. The thermostat was a not easily controlled. We were there in cooler weather and the cool condo to 67 was not easily controlled. It was to cold at times due to the outside temperature being 40 degrees. Suggest instructions be provided in case weather is not warm. We loved our stay at SI! This villa is by far the nicest that I have ever stayed in on the island. The second loft bedroom was great, but not conducive to a toddler as we had to watch our noise level during nap and bed time. It gives total privacy aside from noise though. We enjoyed our time at the pool and beach and had some great meals at Bohicket Marina. Kat and Betsy with Seabrook Exclusives were fabulous and prompt as we planned a last minute trip to the island. I definitely recommend this property and we will be back once our kids are a little older and can sleep in a loft bedroom! Was delighted with the "newness" of the condo. Decorated nicely and with terrific use of space. Will consider renting this again. Our experience with the company as well as the vacation itself was wonderful. The house was as described and the Island is beautiful. We will definitely be back and wouldn't hesitate to stay in this lovely home again.